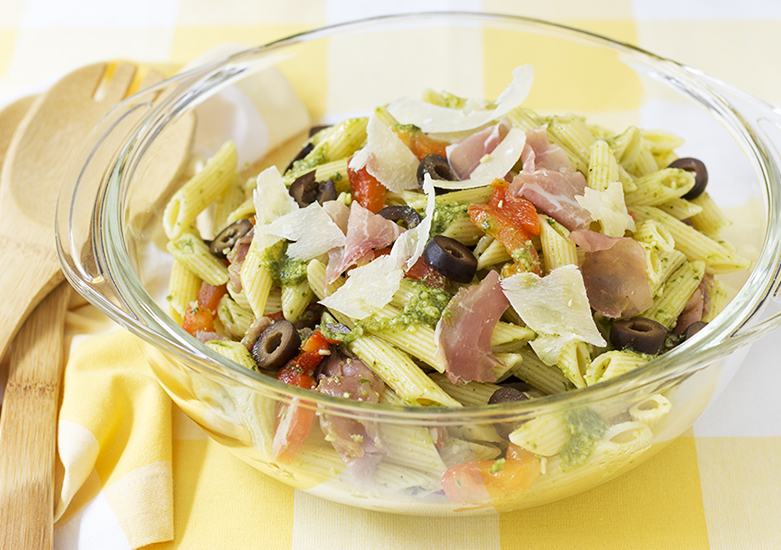 The pasta salad loaded with penne pasta, prosciutto ham, basil pesto and black olives is simple to make. Delicious. And summer fresh. Serves four. Cook the pasta following instructions on the box. While pasta is cooking, dice the prosciutto. Slice the roasted bell peppers and black olives. Shave the Parmesan cheese. After the pasta has cooked, rinsed and cooled a bit. Lightly toss the ingredients, except the shaved Parmesan, in a large salad bowl. Serve in salad bowls, topped with shaved Parmesan. Want to try a different flavor? 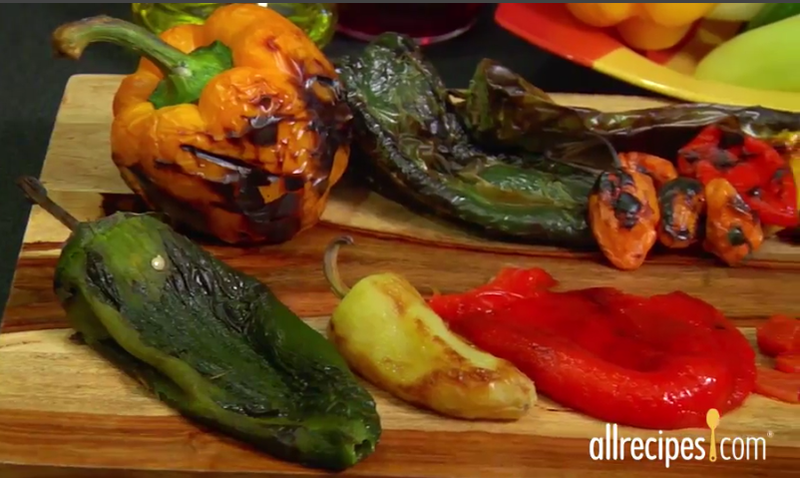 Substitute the roasted bell peppers with sun-dried tomatoes.